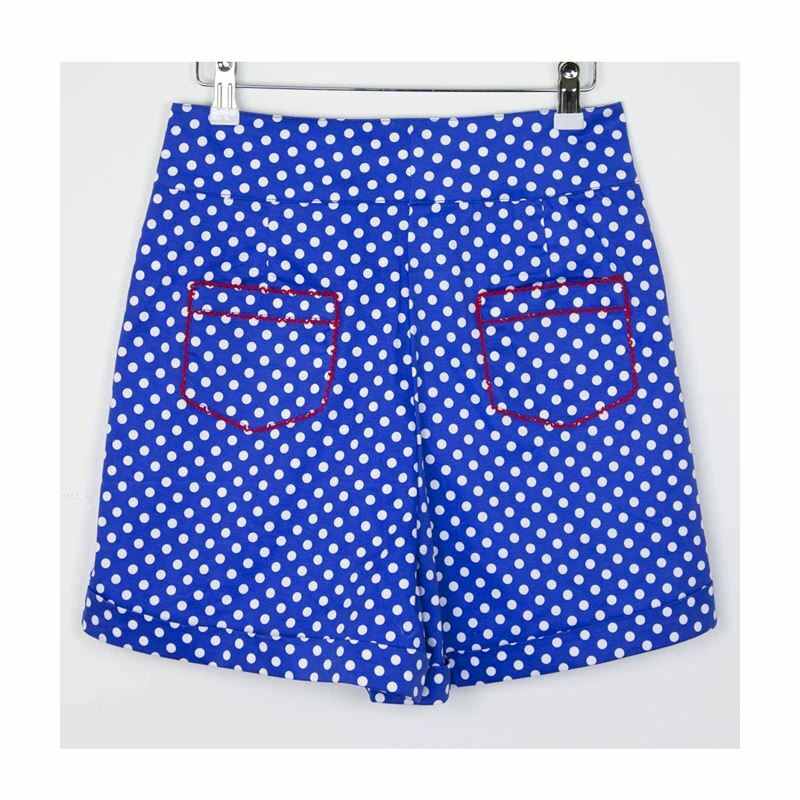 Brighten up your summer wardrobe with sky blue and white polka dots! 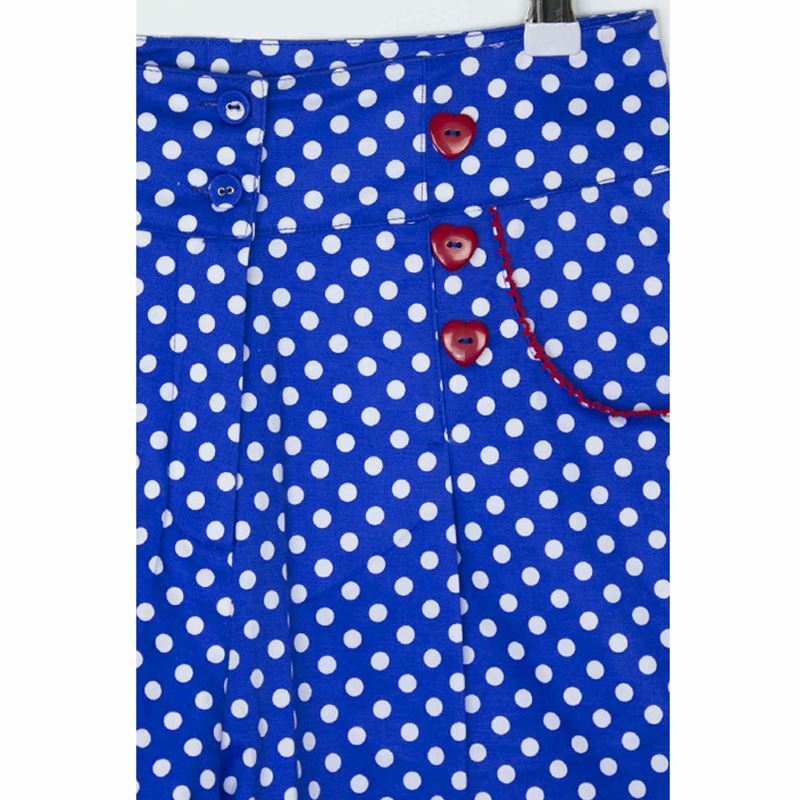 These shorts have super cute details such as red heart shaped buttons in front, red cotton trimmed side pockets and two back pockets. 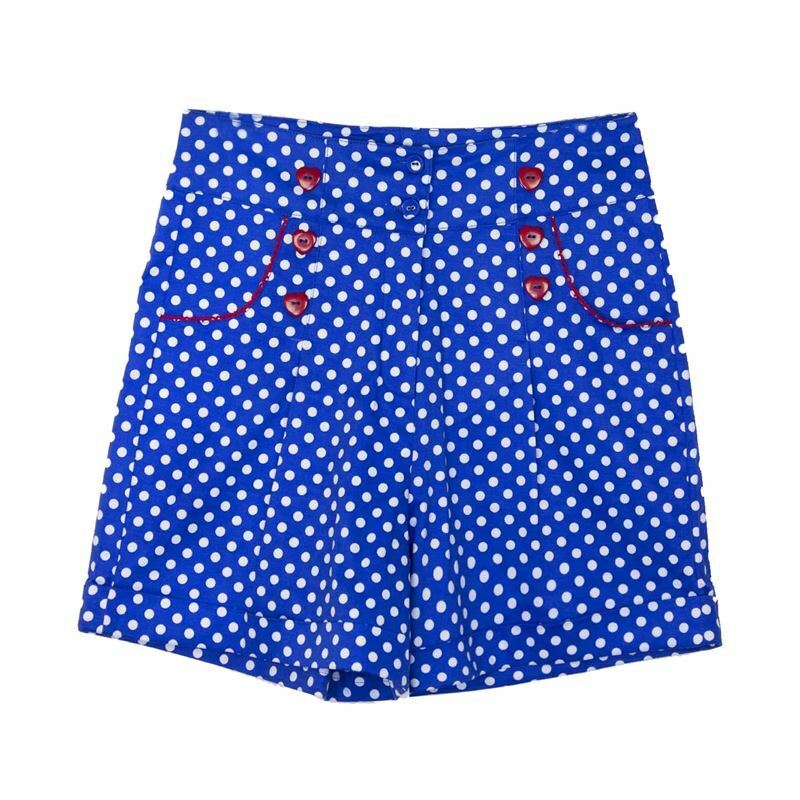 Made from 100% cotton, they're gorgeous paired with a blouse or our sailor top for a real pin-up look! • Fit is true to size. 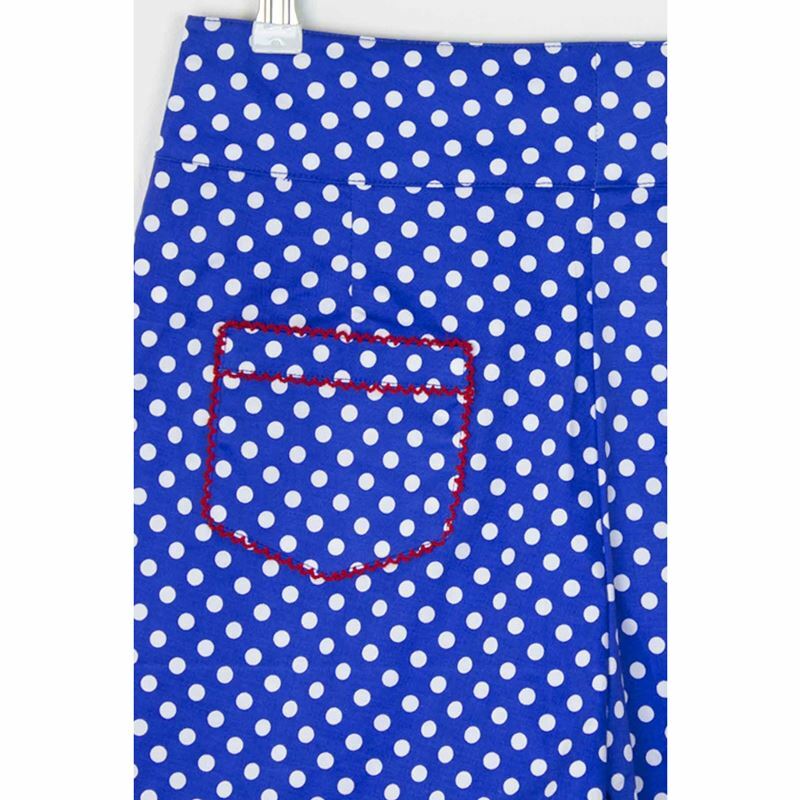 However the fabric is stretchy, if you are between sizes we recommend sizing down. Will usually dispatch within 2 working days of receiving cleared payment and We don't offer next day delivery. All orders are sent via Signed and Tracked Recorded Delivery. • If you are not completely satisfied with your purchase, simply return the unworn/unused item(s) to us in their original packaging with any tags and labels attached. You are entitled to a full refund on the item(s) if it is returned within 30 days from the date of receiving your order. • Please send both the invoice and unworn items to our address on your invoice. We advice you to email [email protected]before returning any item help us to process your return faster. • We do allow additional time for refunds/exchanges outside the UK. Please email [email protected] within 7 days of the date of receiving your order.